For most of us, life is way too hectic. We feel scattered and distracted. We’re busy rushing from one required activity to the next, and when we have a few moments of downtime, we’re often glued to our electronics. Is this what life is really all about? 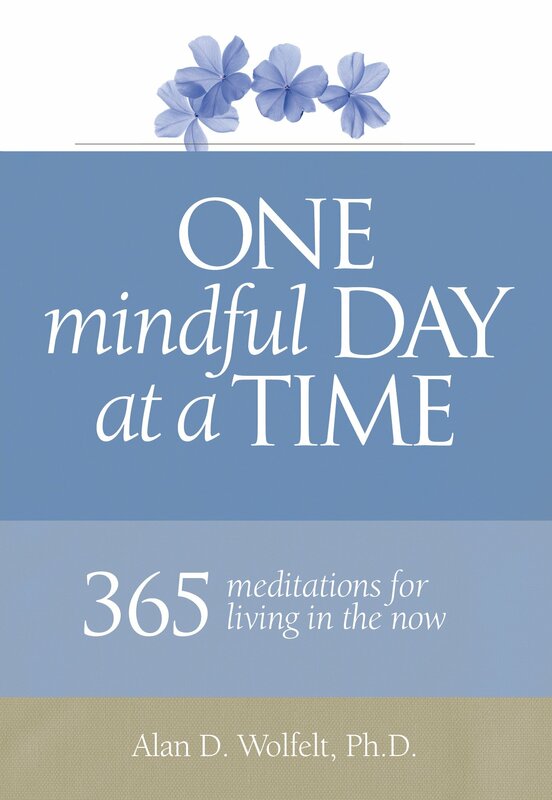 Learn to slow down and live more mindfully with this daily companion. 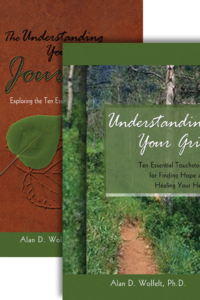 In one brief entry for each day of the calendar year, counselor Dr. Alan Wolfelt offers small, day-at-a-time doses of wisdom and practical guidance. 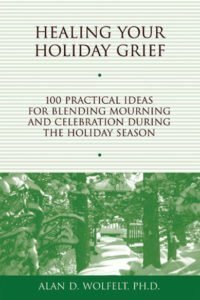 Each entry includes an inspiring or soothing quote followed by a short discussion of the day’s theme as well as a succinct mantra to return to throughout the day. 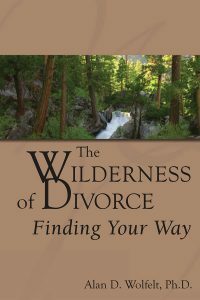 In just a few minutes a day, this little gem of a book will teach you to live every moment from a place of peace, purpose, and gratitude. Living in the now is a habit you can cultivate. Let’s get started.